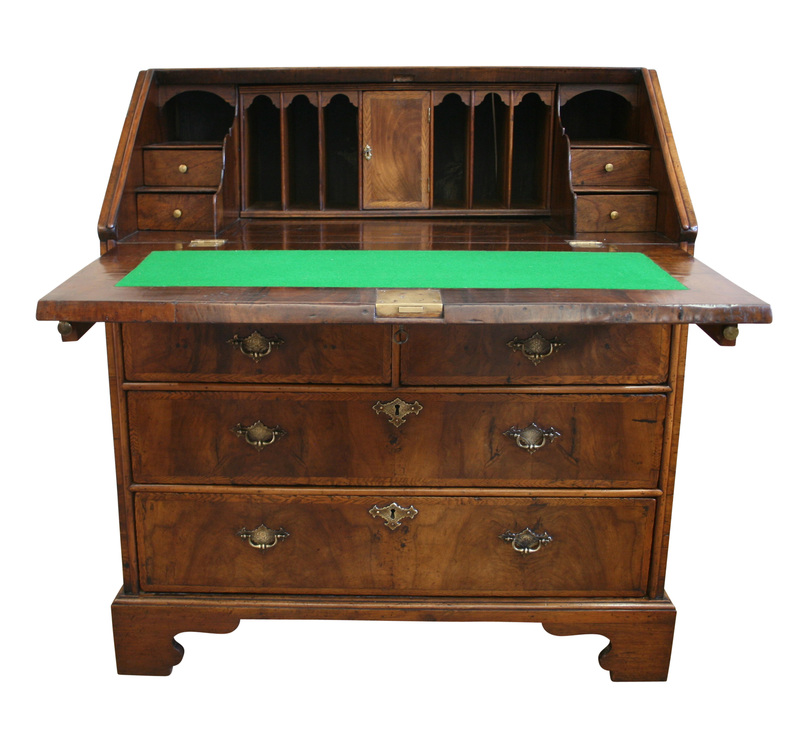 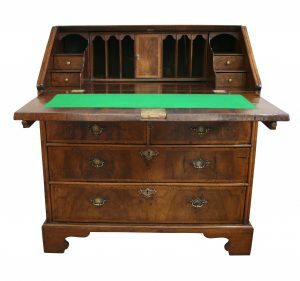 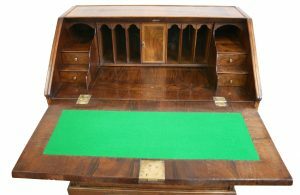 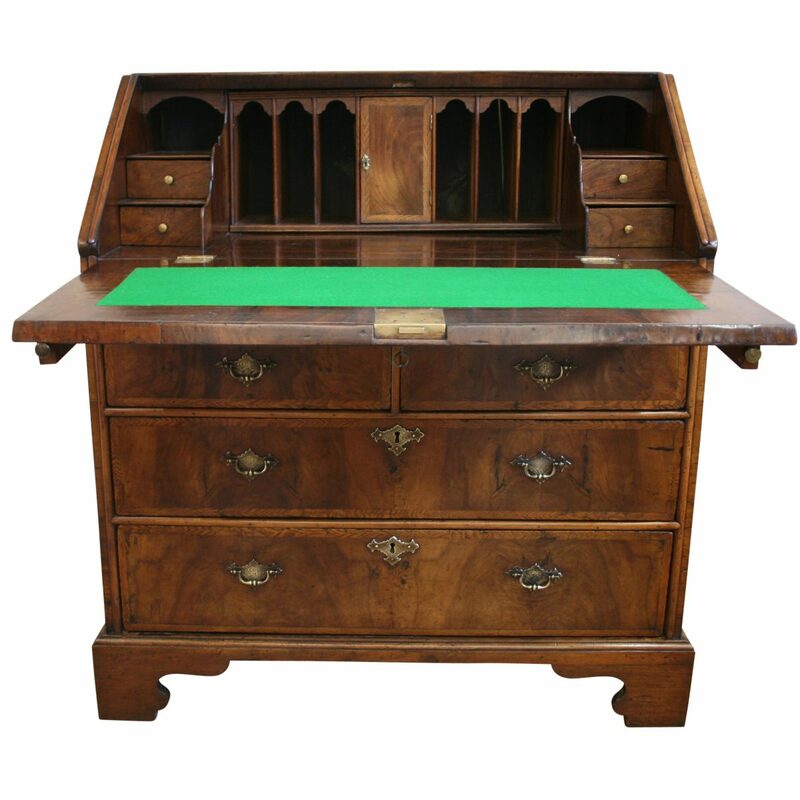 A George I walnut bureau with feathered banding in Ash. 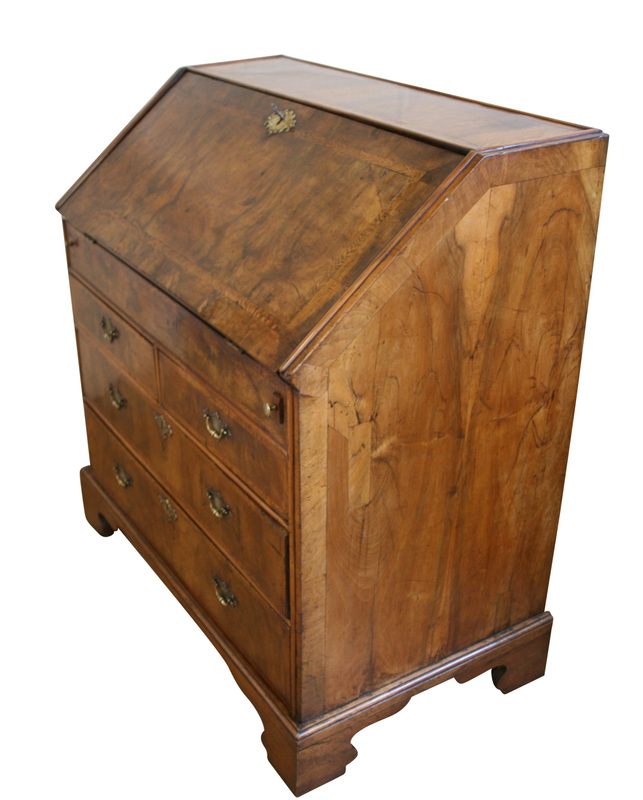 The fall with working lock and key opens to reveal a fitted interior with drawers, pigeon holes and a storage well. 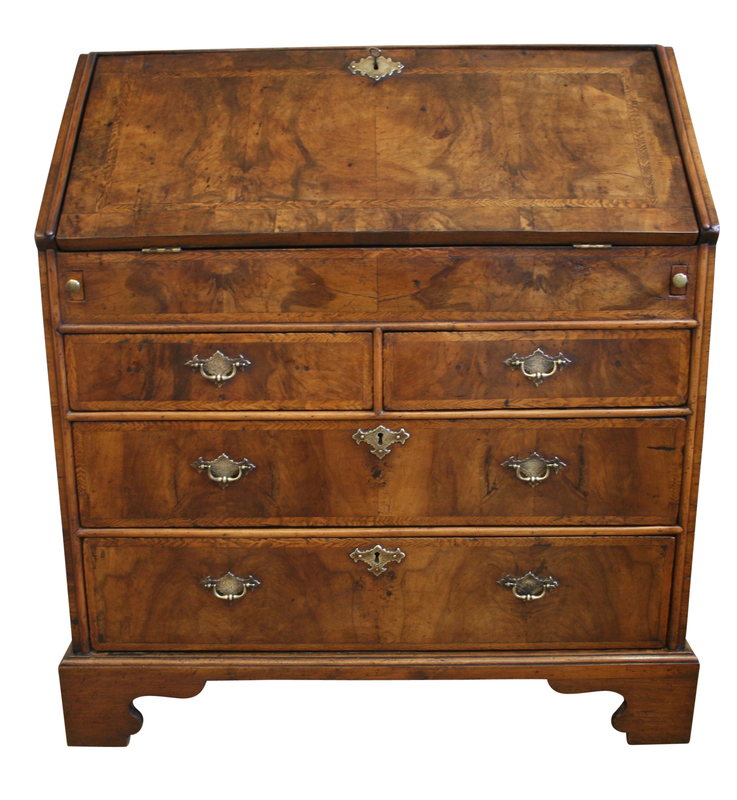 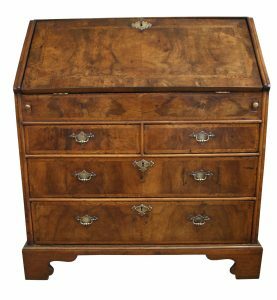 Beneath are a flight of graduated drawers with brass engraved plate handles and escutcheons. 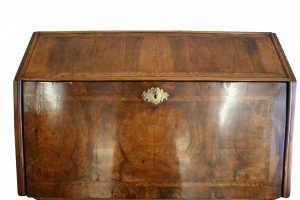 It is raised on bracket feet.